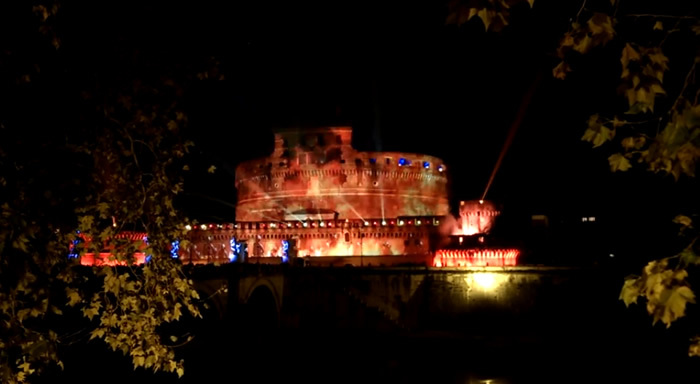 The launches of the Microsoft’s XBox One and Sony’s PS4 has seen a number of impressive PR stunts around the world, but the impressive film-like light show in Rome may be the extraordinary. Sony rigged up the second century Castel Sant’Angelo, built as a mausoleum for Roman Emperor Hadrian’s family and later a defensive fortress for a number of Popes, for the action. Through some impressive technical ingenuity, a light show projected onto the building shows a dragon flying in to destroy the castle’s walls and set it alight.